Earlier this year I went to my sister in law’s Hen weekend up in The Lakes. It was a fab weekend and feels like such a long time ago, and to be honest it was! The Saturday night was an 80’s themed party. Now, I am ever so young and don’t remember the 80’s. No, no that wasn’t me wearing neon socks and neon & black fingerless gloves. No, definitely not me! Anyhow, I didn’t seem to have any 80’s related clothing left in my wardrobe, so I decided to crack out the sewing machine. 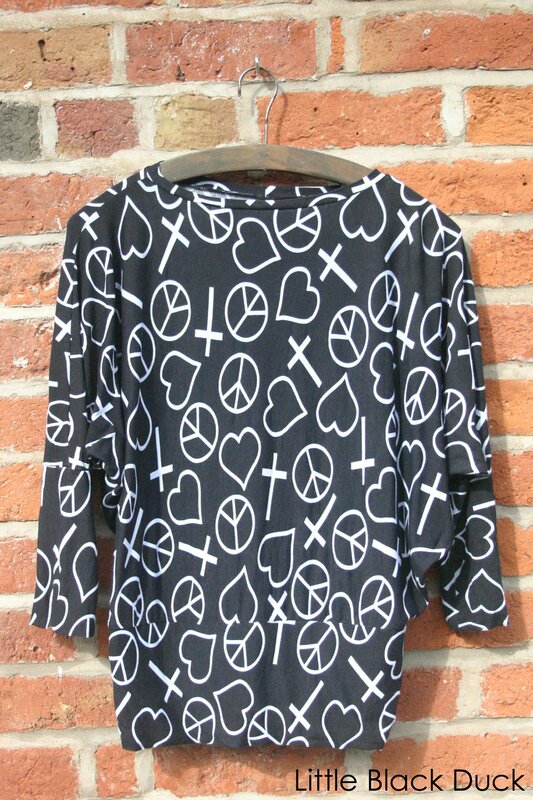 I did a quick hunt online and found this super 80’s monochrome knit, it was just £5.99 per metre from Minerva Crafts, which I think was a bit of a bargain! I wanted to make a batwing top but didn’t have time to totally draft something from scratch so I based my top on the free Batwing Dress tutorial by Mollytov. Of course the outfit would not have been complete without a splash of neon. I say a splash, but I bought quite a lot of neon yellow stretchy stuff. I made a mini (ish) skirt, a pair of leg warmers and a scrunchie! Totally classy, but very 80’s, no? 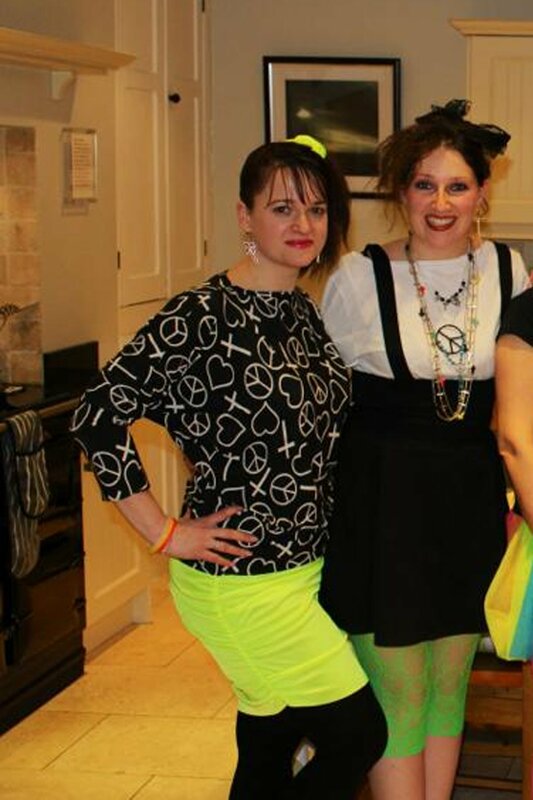 Now the question is, do you think I can get away with wearing my 80’s inspired top again in a non-fancy dress scenario…perhaps with some skinny jeans? too risky? You can definitely wear it again. 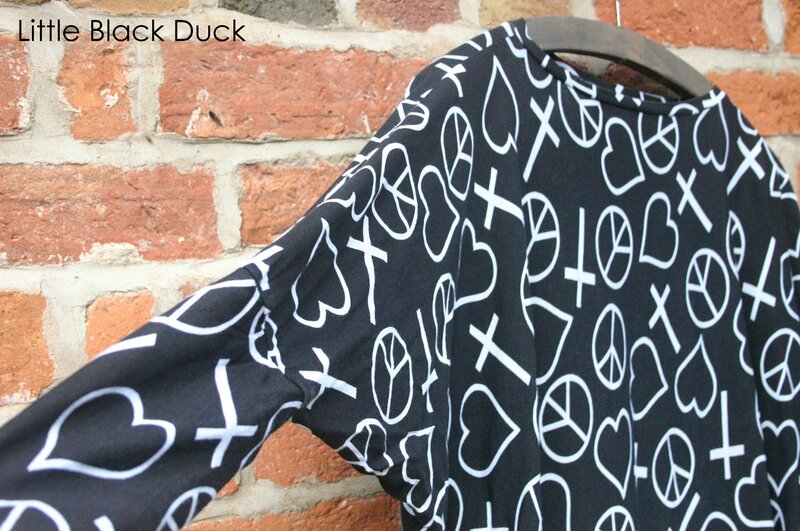 Would look great with skinny jeans and some ballet flats. I think you might be right Katie! Just need my thighs to be a bit skinnier to get into my skinny jeans! Can you imagine the admiring glances I would get?